The safety of our students, faculty, and staff is the foundation for all our goals at the University of Notre Dame. Everyone plays a role in ensuring a safe work environment. 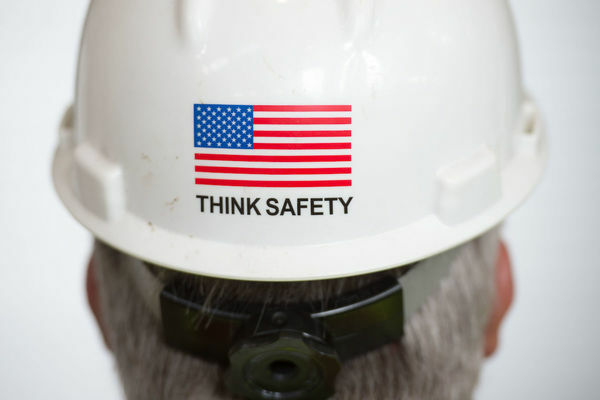 Over the past four years, the University has made significant progress on decreasing the number of work-related, recordable safety incidents. Eric Kloss, director of Risk Management and Safety, directs two safety committees which are helping to create a culture of safety on campus. These committees focus their efforts on laboratory safety and general campus safety. The Laboratory Safety Advisory Committee, chaired by Patrick Fay, professor of electrical engineering, has been developing and revising laboratory safety standards. The committee, which is comprised of 16 members from the academic and operations units of campus, has made significant improvements in laboratory safety including improving or creating numerous lab safety programs, developing and overseeing our lab safety assessment process for approximately 600 labs, and revising the laboratory safety training process. The Operations Safety Committee co-chaired by Heather Christophersen, director of Maintenance and Mike McCauslin, sr. associate director in Risk Management and Safety (RMS) has more than 50 members and has been focusing on revising and developing safety programs for the University. This team has also been overseeing the revision or creation of our safety assessment processes, safety training, communication, and much more. What can you do to contribute to a safe environment? Be aware of potential hazards from slips, trips, falls, cuts, burns, and repetitive motions. If you see an unsafe condition please report it immediately to your supervisor or RMS at 631-5037. If you are injured at work, report it immediately to your supervisor. RMS needs to know, so they can work with your department to address the situation and prevent another injury. If you are unsure how to report an injury, please contact RMS. Managers or supervisors can make safety the top priority for employees by reminding them of procedures, explaining precautions, and ensuring that all employees have completed the necessary training. Faculty and staff can sign up for the Lab Safety e-newsletter and/or the General Operations e-newsletter by visiting riskmanagement.nd.edu, and clicking on communication, then newsletters. The Lab Safety newsletter is published bi-monthly, and the operations newsletter is published quarterly. Everyone on campus can learn from the accidents at other universities. A few examples of laboratory accidents are available on riskmanagement.nd.edu. Originally published by Marissa Gebhard at evp.nd.edu on November 01, 2017.